The programme is a combination of diversity management, team building, leadership development, relationship building, communication skills development - ending with a solid long-term team agreement which guides the team to work together into the future. 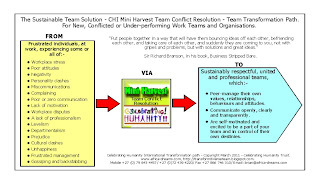 After the intervention all team members start afresh - with a clean slate - clear of all past challenges. This is not a talk, a negotiation – or a traditional team building - this fun and exciting programme is an interactive, transformational and sustainable experience with wonderful lessons learnt and skills developed! Stage 1 - Initial 2 day programme. 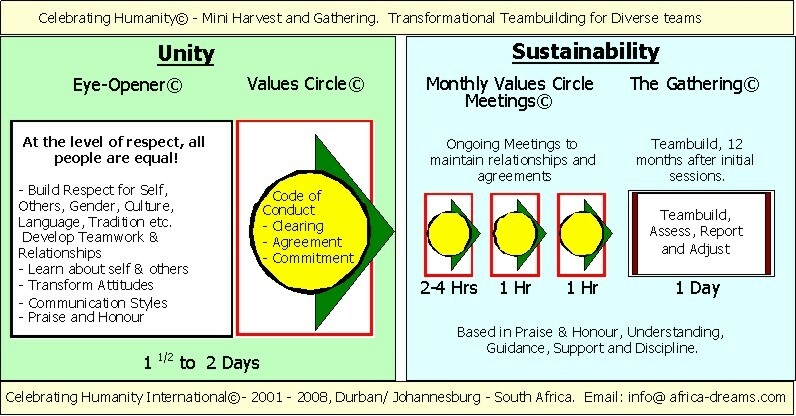 Sets up the team to maintain the programme, through 1 hour 6 weekly meetings. 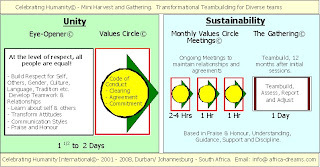 The first meeting, 2 - 4 hours, is facilitated by a CHI lead facilitator, on site. "On behalf of Team US, from the U.S. Consulate General in Durban, I write to extend our appreciation for and unparalleled experience in cultural sensitisation and team-building! The 2 day session made our diverse team stronger and more supportive of one another. This (team building) was by far the most meaningful and effective in fostering good communication, mutual respect and a strong spirit of co operation amongst our multi-cultural staff. " 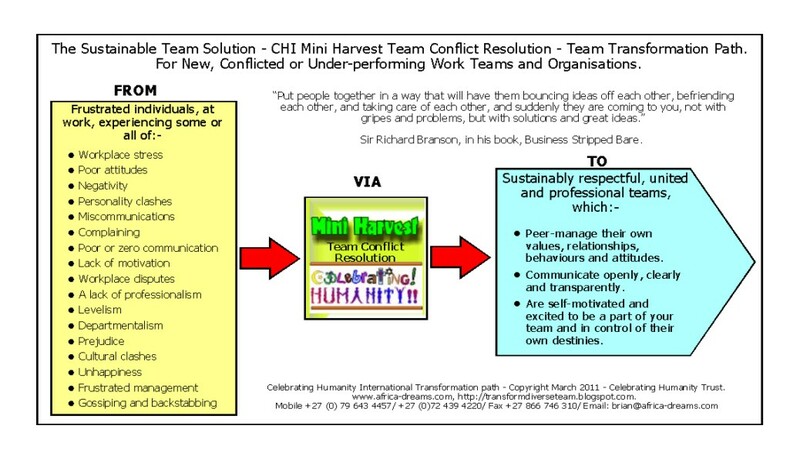 "There were times when attitudes were so hard and fast that I thought it would be an impossible task to create teams within groups of people that we were working with but Brian and Arthie with incredible insight and genuine humanity were able to find the chink in the armour and break down barriers that had been built and protected for decades.